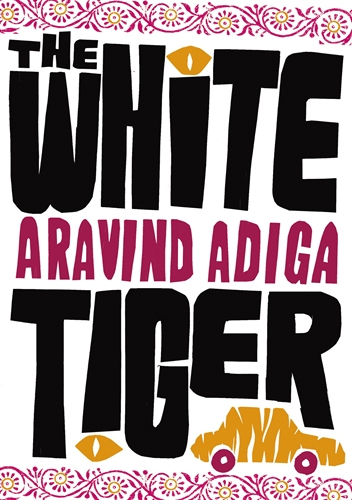 Balram Hawai, the narrator of The White Tiger by Aravind Adiga, sees himself as an important man, so important that when he hears that the Chinese Premier Wen Jiabao is planning a visit to Bangalore, he decides that he must write to him and share the real story of entrepreneurship in India. This book is his letter to the premier, in which he shares his story of how he rose from living in poverty in “The Darkness” to becoming “The White Tiger, A Thinking Man And an Entrepreneur Living in the world’s center of Technology and Outsourcing.” We learn early on that he killed his employer, but what we don’t know is why he did it and how that led to his success (or even what exactly he’s doing that makes him such a success). Oh, I could go on and on about myself, sir. I could gloat that I am not just any murderer, but one who killed his own employer (who is a kind of second father), and also contributed to the probable death of all his family members. A virtual mass murderer. But I don’t want to go on and on about myself. You should hear some of these Bangalore entrepreneurs—my start-up has got this contract with American Express, my start-up runs the software in this hospital in London, blah blah. I hate that whole f—ing Bangalore attitude, I tell you. Overall, I enjoyed this book very much. Balram himself is entertaining, and I liked reading about so many different aspects of Indian society: village life, the servant classes, the streets of Delhi, the growth of shopping malls, the influence of American culture, and the gap between rich and poor. It’s a satisfying concoction. This is the third book on the Booker Prize shortlist that I’ve read. (And it will probably be the last I read before the winner is announced, given that the others are hard to come by here in the U.S.) I didn’t like it quite as much as I did A Fraction of the Whole, but I found it much more enjoyable than The Secret Scripture (a contrarian view, I know, but I like what I like). I’ve heard consistently good things about some of the other shortlisted books, so I wouldn’t be surprised to see another book entirely take the prize. I’ve not read a single book from the list, but this is one that caught my eye. I like the subversive nature of it. I did check out the Barry, but I didn’t get it read before it had to go back to the library (the bad thing about a book having a waiting list–no renewals!). By the way, I saw your Laurie King post, and I am a great fan, too, of Ruth Rendell. I need to read more LK while I’m at it–I’ve only read the first Mary Russell book. It seems I keep seeing this cover everywhere and had wondered about it. I’m intrigued by the setting and the story. Thanks for the review. Tara–I think between the Booker shortlist and its coming paperback release, this book really is everywhere. It’s definitely a different sort of India story. It is one of the worst books I have ever read. wow…..are you saying that a more “accurate” portrayal of india would be viewed by watching 3 movies made 55 years ago than by reading a book written in the last 5 years? i don’t mean any disrespect but what you,re saying seems counterintuitive to me and, in my opinion, suggests that India is a static and unchanging society…. i have seen the apu trilogy and it does not address the caste system in any appreciable way…apu is a brahmin, a brahmin living in abject poverty, but a brahmin neverthless……also, white tiger paints a portrait of a changing India of the 21st century…we don’t even know what that India is yet…how can you dismiss Adiga’s vision as being inaccurate? I read the book and it fascinated me. I suppose you can see to a country as India with many eyes, and every view will expose a part of the reality as seen by the observer. 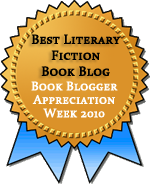 But don’t forget: “This novel is entirely a work of fiction” ;) I enjoyed the reading and the social context. he didnt say anything apart from natural thoughts of a human being .I was expecting more. Well ..i accept every book is like a sugarcane.you cannot find juice in all the pages.